Let's face it - we all age at some point. I'm feeling the effects of gravity already, and I am trying to take steps to prevent any further damage. It's always better to start early, in my opinion, and that's definitely what I'm going to teach my daughters (or sons!) once they hit their twenties. I'm always on the lookout for anti-aging products, and this brand new one is supposed to be hot stuff. 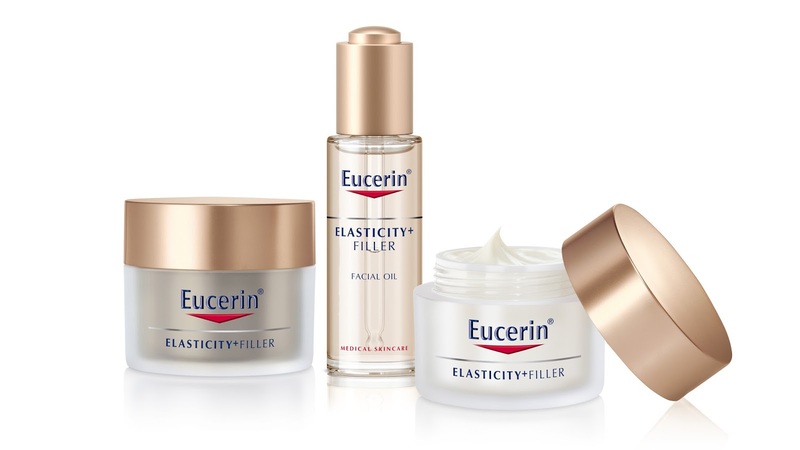 Eucerin has been around for over 100 years (can you believe that?!) and is known as a well-researched, well-trusted brand. 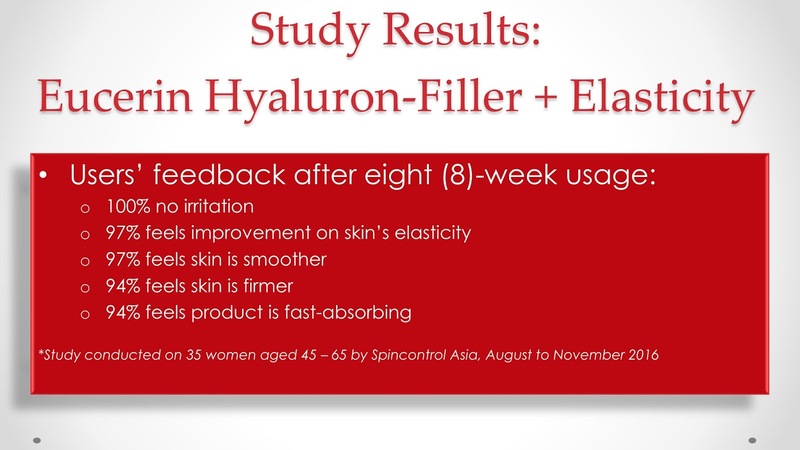 Their Hyaluron Filler + Elasticity range is Eucerin's foray into anti-ageing skincare, and is designed to target ageing skin, particularly in areas like the forehead, expression lines around the eyes, the cheekbones and jawline, and the neckline. Its key ingredients are hyaluronic acid for boosting hydration and plumping wrinkles, burdock plant extract for skin elasticity and firmness, and lady thistle plant extract for improved skin radiance. Obviously, I'm extremely intrigued. I have myself a box of the products and will be diligently testing them out over the next couple of weeks to see what kind of results I get. I cannot wait!! Stay tuned if you want to see what happens with my skin. For updates, you can subscribe to my Facebook page or follow me on Instagram.